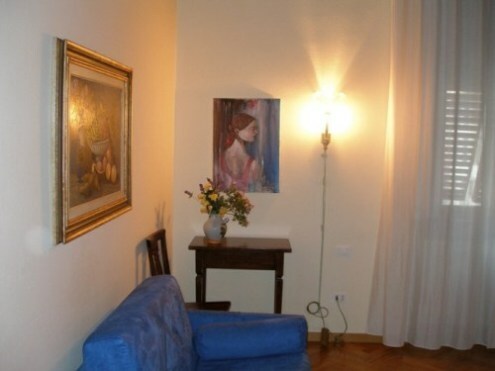 B&B Cimabue 9 is a guest house located in the heart of the city of Florence (just ten minutes by walking from the famous church HOLY CROSS (Santa Croce). 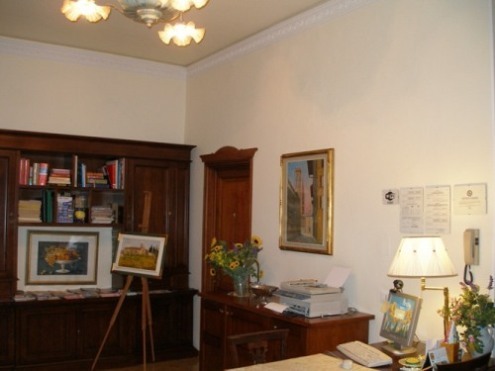 The B&B is at the first floor of a 19th century building. 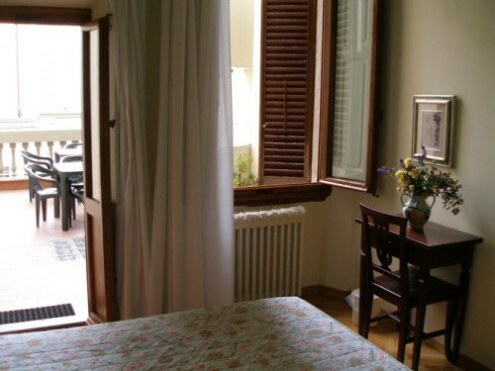 Renovated in 2005, there are four rooms with ensuite bathroom (furnished with hair-drier), air-conditioning, TV and free internet WiFi connection. 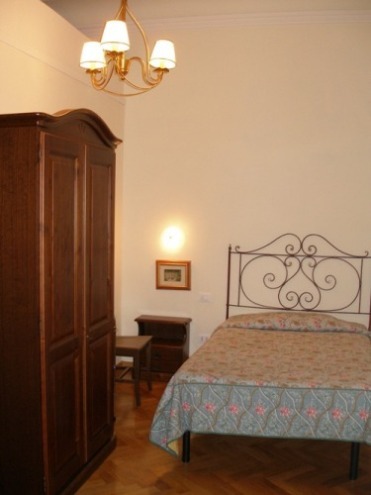 It is conviniently located near public transport, stores, retaurants and cinema. We can organize trips and tours with guide in Florence and other cities of Tuscany. Booking museums service on request. Plus all the tourist information that you may need. 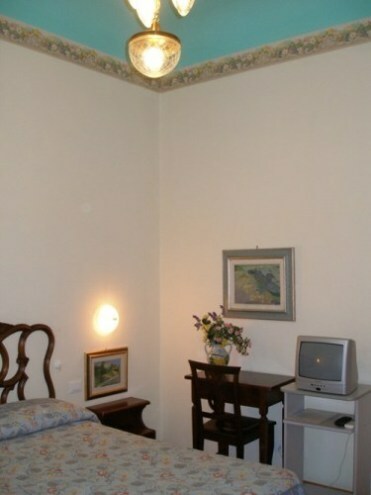 All our rooms are with private bathroom (furnished with hair-drier), air conditioning, tv and free internet WiFi. 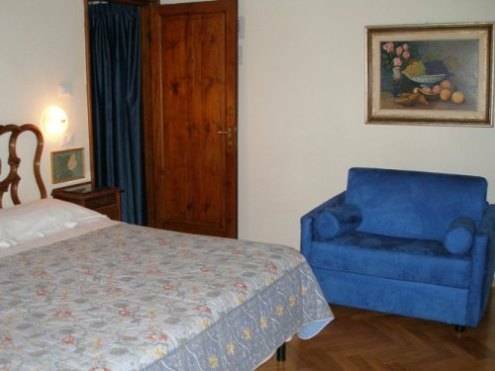 Cimabue 9 is a guesthouse located in the heart of the city of Florence, within a stone's throw from the historical centre, near Santa Croce square is conveniently located near public transport, stores, restaurants and a movie theatre. A very small restaurant, excellent if you want to eat meat. A traditional pizzeria, where you can eat pizza cooked in a wood owen. They cook as well different tipe of pasta. A traditional and typical restaurant with a large selection of disches including fish. A credit card is required to secure your reservation at CIMABUE 9. If the reservation is not cancelled outside of the 7 days cancellation notice period, your credit card will be charged with the full amount of the first night's stay. Cimabue 9 is located in one of the most caratteristic area of the city of Florence rich of traditional shops, restaurant and gardens. Very close to the river Arno and on the way to Piazzale Michelangelo. The closest bus stop is at 50 meters from us.